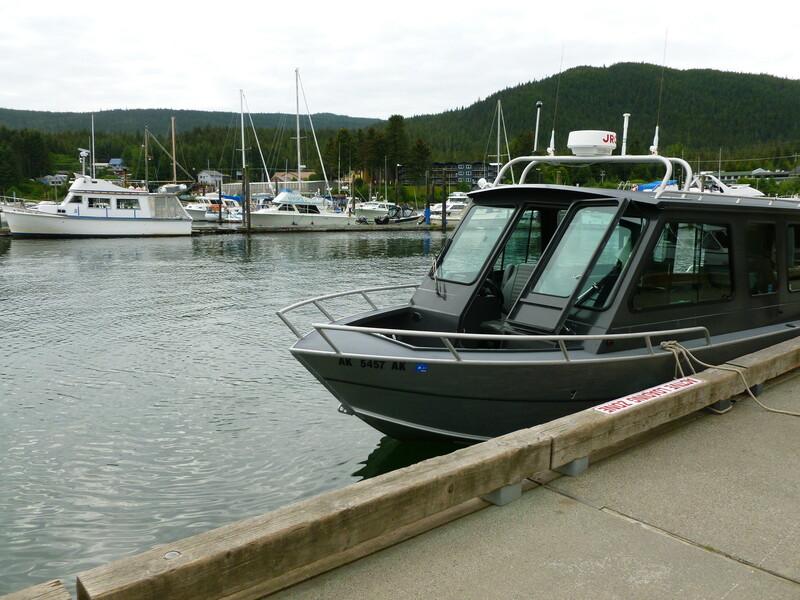 Our whale watching tour was on the Obi-Wan a small boat operated by a local company Harv and Marv. The hoakey name is intentional – in reality it was a very well run operation. We picked this company because they specialized in smaller more personalized tours. There were six passengers on our trip which provided the intimate experience we were hoping for. 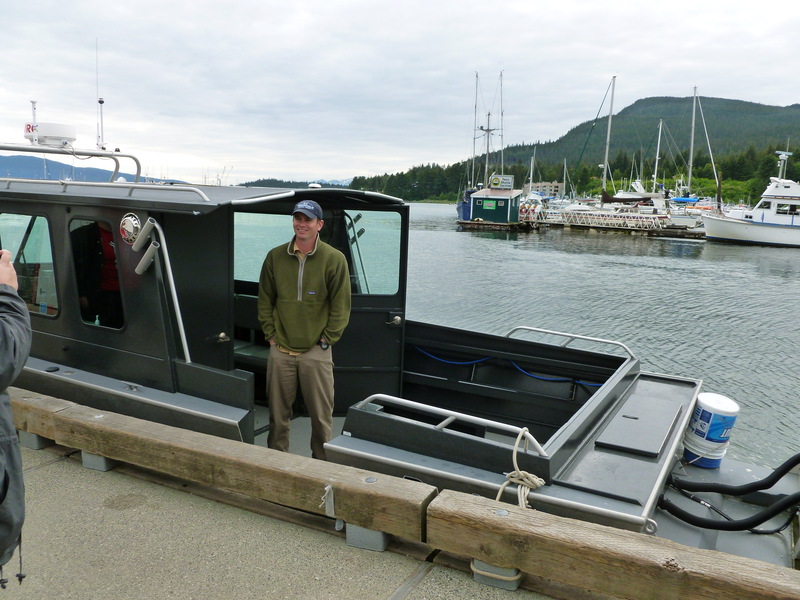 The boat left from Auke Bay. 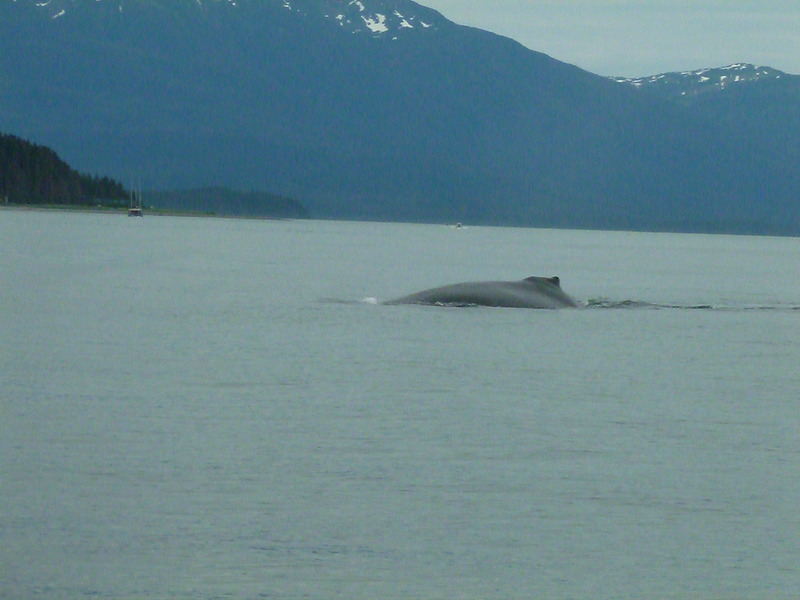 The endangered humpback whales seek out the waters around Juneau during this time of year for the feeding opportunities. 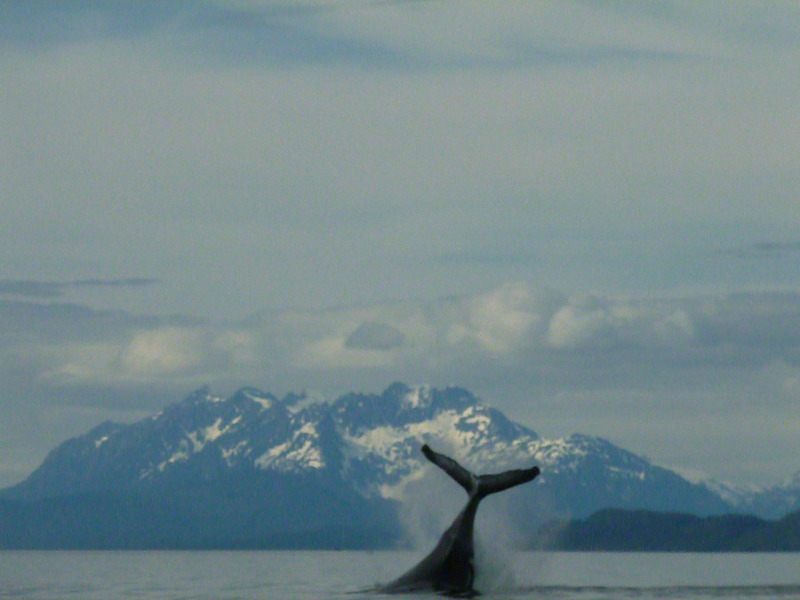 An estimated 200 whales pass through the area each year. 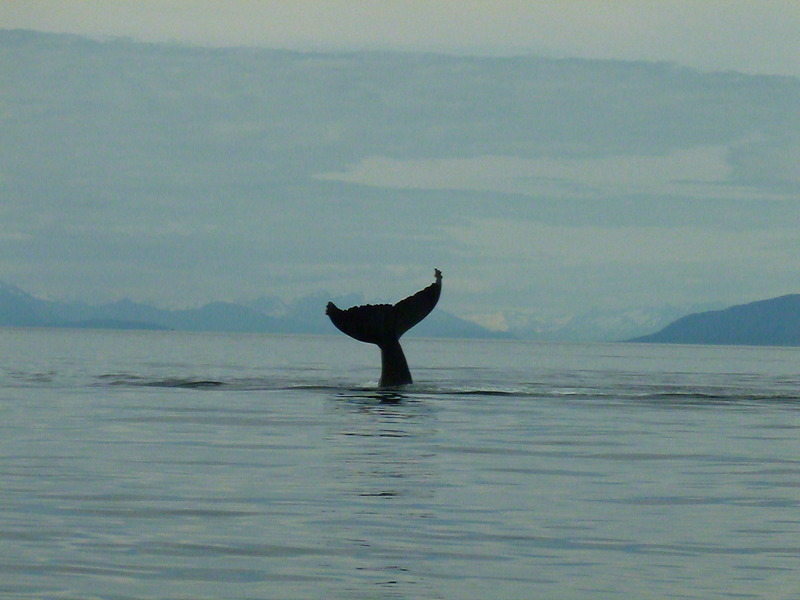 Many of the same whales return year after year. 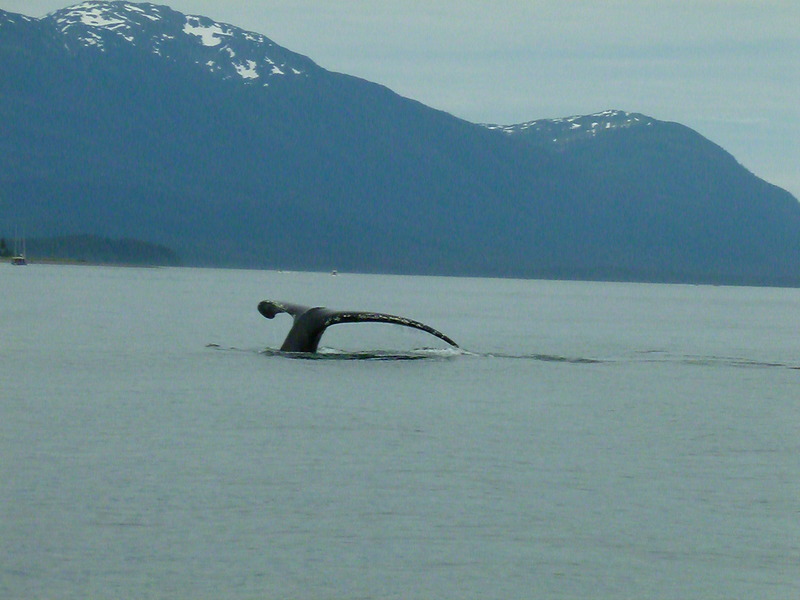 The local whale watchers have taken to naming approximately 50 of the whales that have distinguishing marks on the tails. 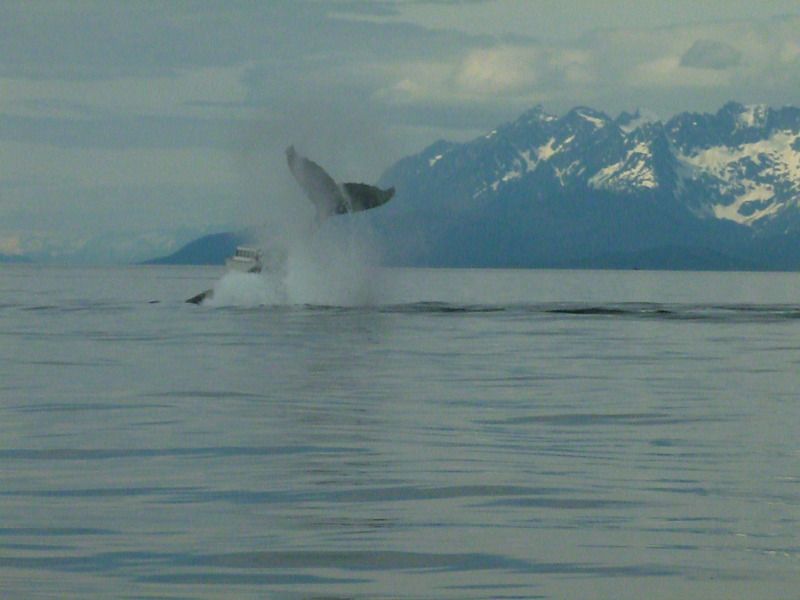 One of the named whales is Sasha. In addition to being called out by name on many different websites, she is unique because she was accompanied by her calf. 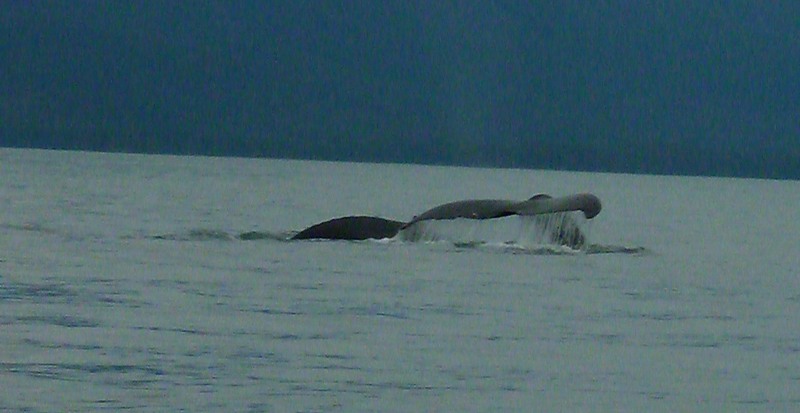 At first they were swimming very close together and it was difficult to distinguish who was who. 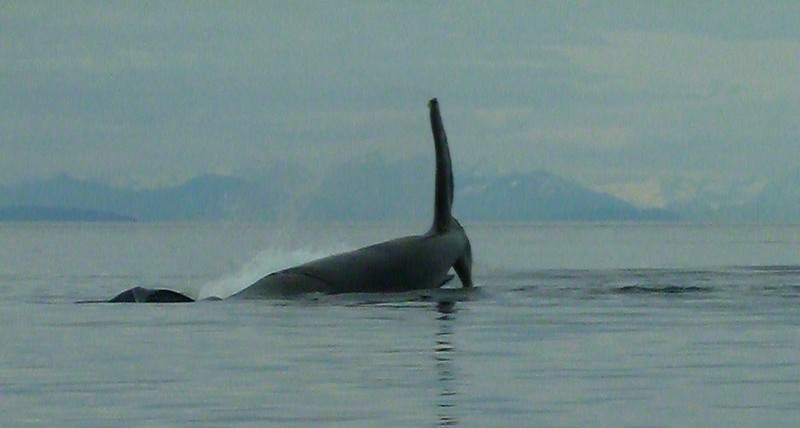 The calf does not dive the same as the adult because it has not yet developed the muscle control. 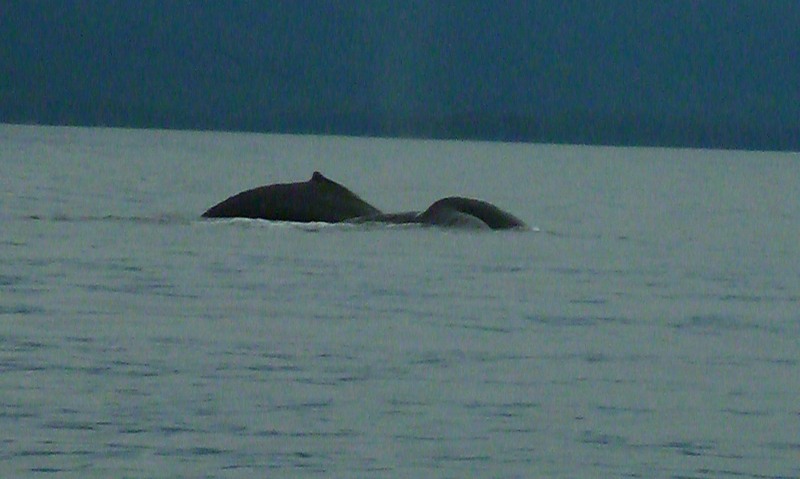 Sasha and her calf were content to stay in the same area allowing plenty of viewing. 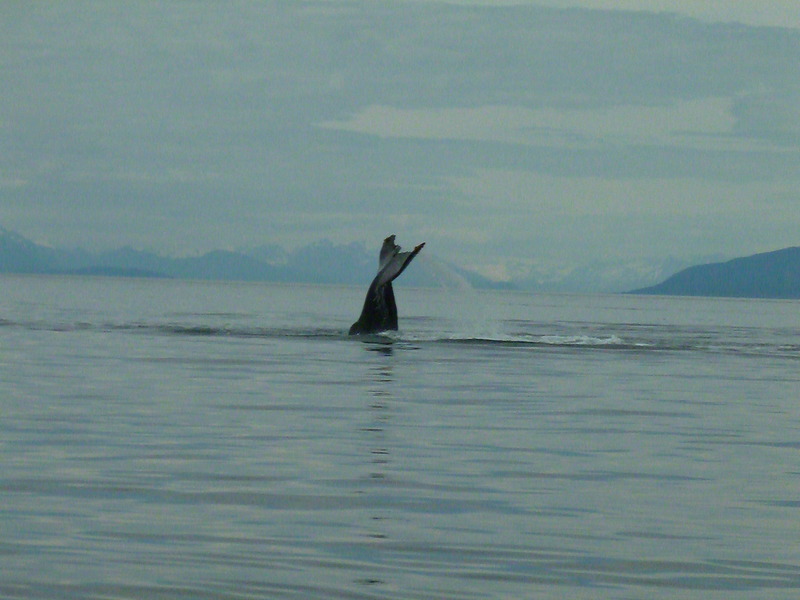 Video of the same whale.